Patty was thrilled but skeptical when she heard about the major. “I immediately went and talked to a professor about the possibilities for jobs and what could I do with the degree. He sat with me for an hour and told me in detail about the many types of animation I could go into. I didn’t think you could really make a career out of something you loved. I always thought being creative was more of a hobby. 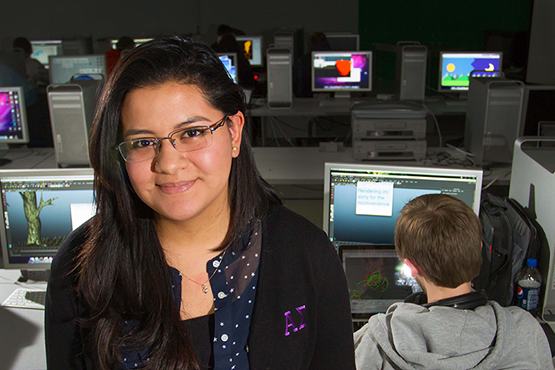 Alfred State taught me that I can make it into a career.” Learn more about the digital media and animation major .